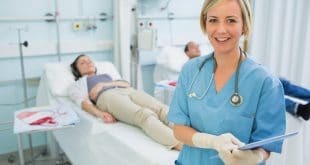 Home / Nursing Careers / What is Holistic Nursing? Did you know that Florence Nightingale was considered one of the first holistic nurses? 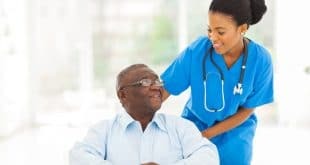 This practice of nursing focuses on healing the whole person, and according to the Holistic Nurses Association, it recognizes the interconnectedness of body, mind, emotion, spirit, social/cultural, relationship, context, and environment. Some holistic nurses prefer to open their own licensed practices, while others work in birthing centers, hospice facilities, long-term medical care facilities, and patients’ homes. When it comes to hospice and long-term care facilities, these nurses are generally in high demand. To work as a holistic nurse, you will need to earn an Associate of Science Degree or a Bachelor of Science in Nursing Degree (preferred). While enrolled in holistic nursing school, you will take a basic range of health policy, nursing practice, and science courses in addition to theory practice of holistic medicine, specific modalities such as energy work, and professional standards. Courses differ by school, but many programs also offer training in compassion, healing or therapeutic touch, massage therapy, and intuition and spirituality. 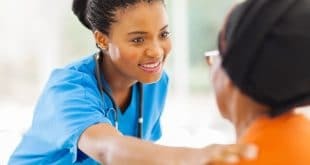 You need to have at least one year full-time holistic nurse work experience or a minimum of 2,000 hours part-time experience during the five years prior to taking the exam.You must complete at least 48 hours of continuing holistic nursing education during the two years prior to sitting for the exam. If you are going to treat patients with acupuncture and massage, you may need to earn additional state certification in these areas. Due to the growing interest in alternative and complementary health care, holistic nurses can expect job opportunities to grow faster than normal, especially if the have a Bachelor of Science in Nursing degree, according to the U.S. Bureau of Labor Statistics. The Bureau also reports registered nurses in all fields earn a median national salary of $65,470, while licensed practical nurses earn about $41,540. Your salary will depend on location, your experience, and your education. If you would like to learn more about holistic nursing, contact us.